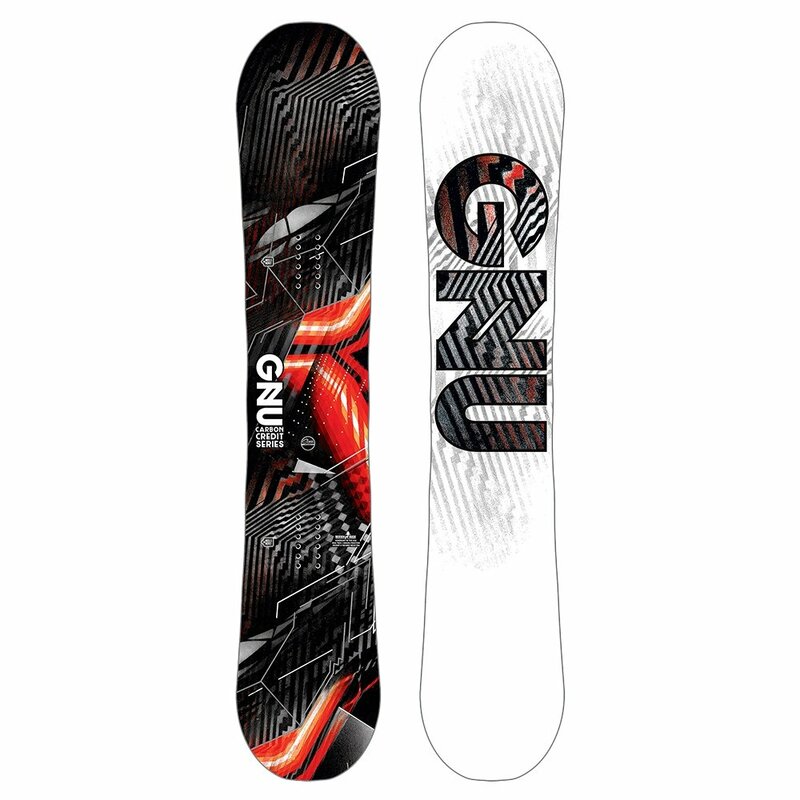 The GNU Carbon Credit Asym Snowboard has been a shop favorite for a couple years now, and it doesn't look like that's changing anytime soon. We love how this easy-to-control board serves as a great platform for beginning riders, with a Level 1 Asymmetrical shape that causes the toe and heelside of the board to ride more similar to one another, letting you focus on fundamentals rather than fighting an inconsistent board. Intermediate and advanced riders with an eye for freestyle appreciate the Original Banana Profile, which gives them the catch-free ride and agile maneuverability of rocker, tempered with the stability and amped up ollies of traditional camber. 147 109 cm 8 / 7.2 28.1 24.2 28.1 17"-22 / 0"
150 111 cm 8.1 / 7.3 28.2 24.5 28.2 19.24"-24" / 0"
153 114.5 cm 8.2 / 7.4 28.9 24.8 28.9 20.25"-25" / 0"
156 119 cm 8.2 / 7.4 29.8 25.4 29.8 20.25"-25 / 0"
159 121 cm 8.3 / 7.5 30.2 25.5 30.2 20.25"-25 / 0"